A cat in a re-breather. And people think we have too much time on our hands. We at California Fine Diving would like to apologize for our recent gap in posting and hope that you will continue to turn to us for all your California fine diving needs. Think of us as your divemaster who follows you ashore but not in the creepy way. 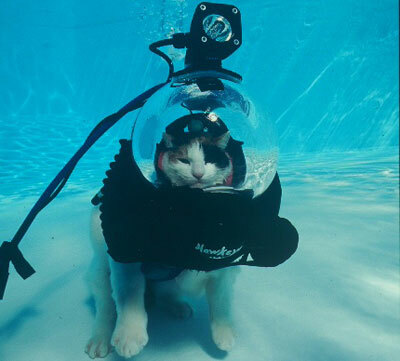 In the meantime, dive science marches on…. Previous Previous post: Central Coast MPA’s are working!